Tony Blair should be given an amnesty to tell the truth on post 9/11 torture, former Guantanamo detainee Shaker Aamer has said as pressure builds over the former prime minister’s alleged complicity in rendition. The 48-year-old was held in Guantanamo Bay in Cuba for 14 years after being picked up by Afghan bounty hunters in the wake of the US-led assault on the Middle Eastern country in 2001. He was never charged with any offences. In his first interview since his release from the West’s most notorious military prison, Aamer told ITV news: “The only thing I want to find out is the truth behind what happened. He said the truth could not be expected from the likes of Tony Blair or George W. Bush because they are scared of being jailed for their complicity. Asked if he thought Blair would ever speak out, Aamer hinted at an amnesty for the controversial former PM. “If [it was] guaranteed that he would not be behind bars, I think he would,” he said. Aamer maintains he was tortured in the presence of British security services officers, both in Bagram, Afghanistan, after his initial capture and at the US detention facility in Cuba. “The … British guy said his name was John. He told me openly he was from MI5, and that he had a file on me,” the Saudi-born British citizen claimed. Blair and other senior government figures of the day must have known he was being abused, Aamer said. One of Aamer’s most extraordinary claims is that three intelligence officials involved in his abuse travelled to Bagram on a plane with Tony Blair in January 2002. Scottish National Party (SNP) Foreign Affairs Spokesman Alex Salmond has been one of the most vocal critics of Blair over the Aamer allegations. In an interview with the Daily Mail, Aamer condemned British extremists and would-be jihadists in the most withering terms, telling them to “get the hell out” of the UK. “How can you give yourself the right to be living here in this country, and living with the people and acting like you are a normal person ... and then you just walk in the street and try to kill people?” he said. “Even if there is a war you cannot kill just anybody, you cannot kill kids, you cannot kill chaplains, you cannot just go in the street and get a knife and start stabbing people. “If you are that angry about this country, you can get the hell out,” Aamer said. 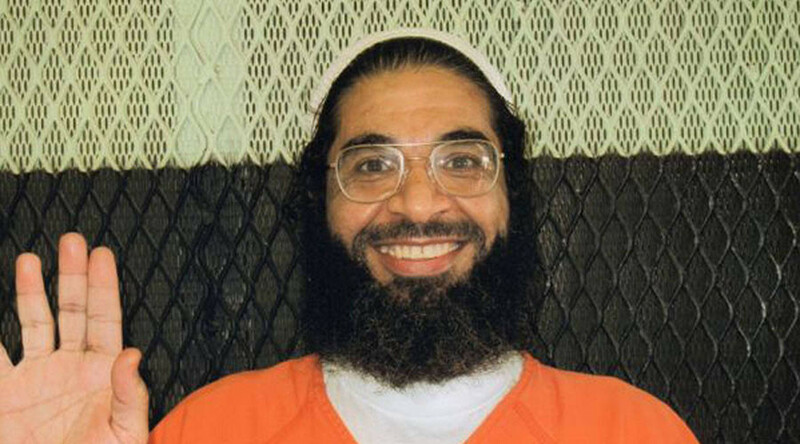 On Monday, Aamer declared he would not sue the British government over his detention.